For this month's meeting Jan was out of the country so our VP Jessica filled in. 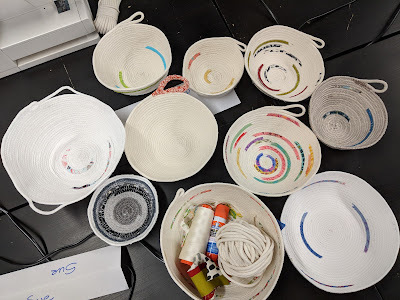 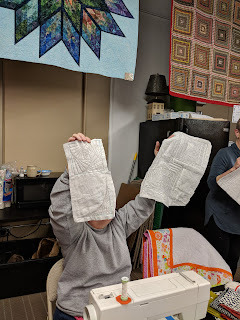 It was one of our smaller meetings, but we had fun none the less. 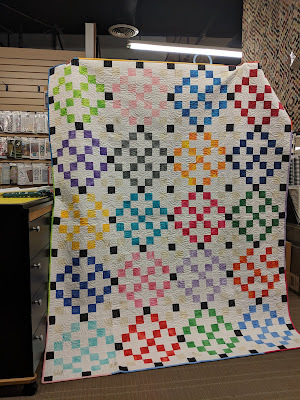 BOM blocks from last month were turned in. The BOM for May is the Puzzle Piece and was presented by Jessica. 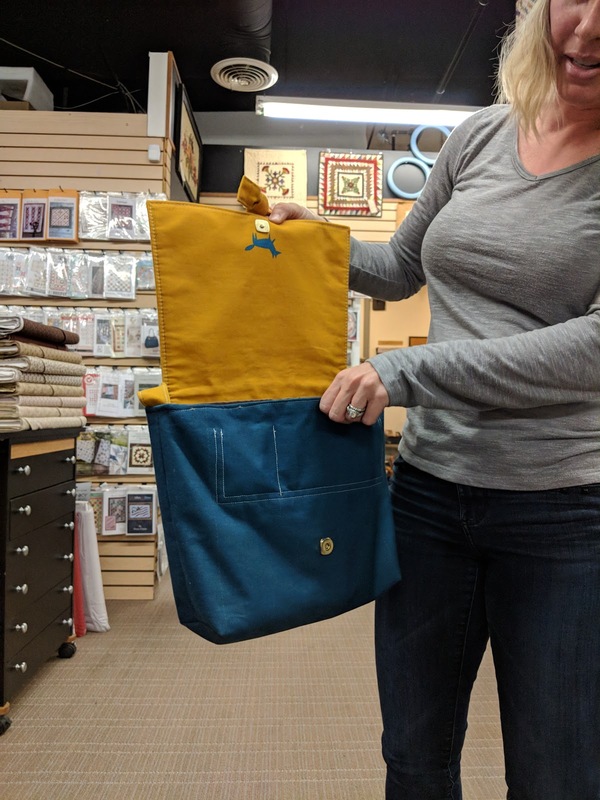 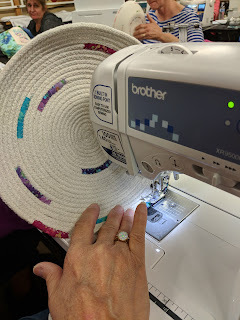 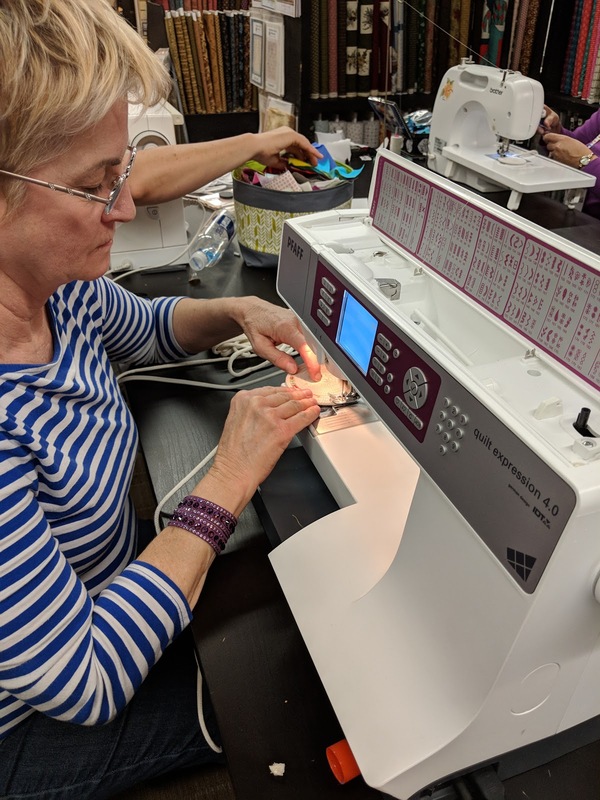 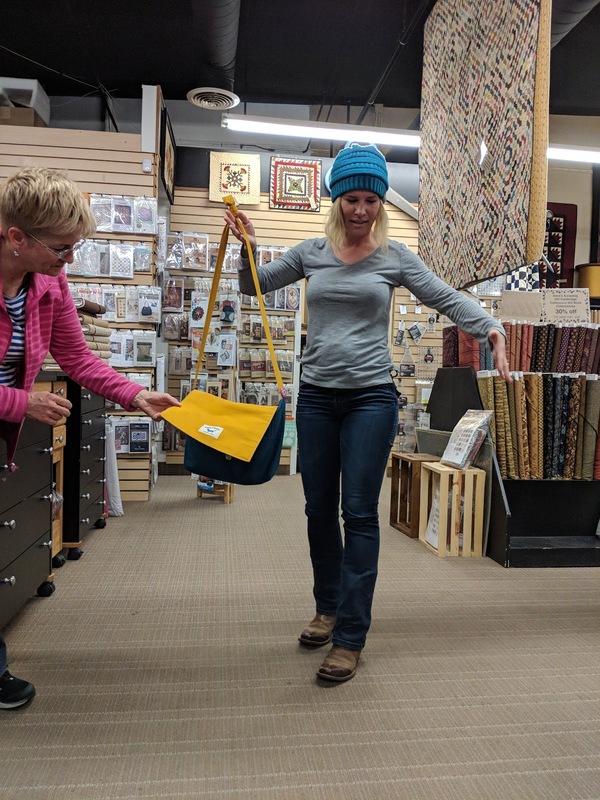 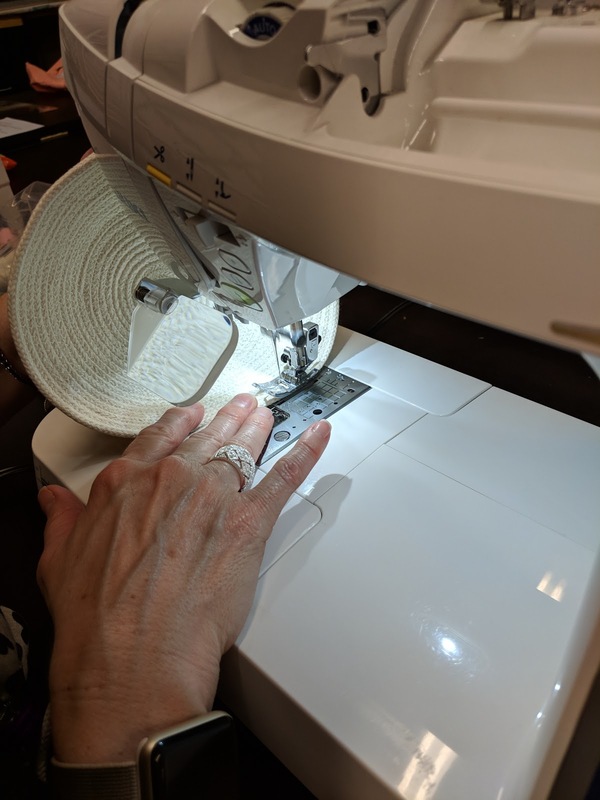 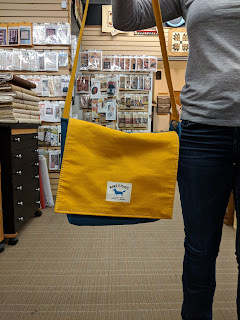 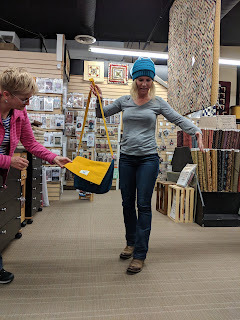 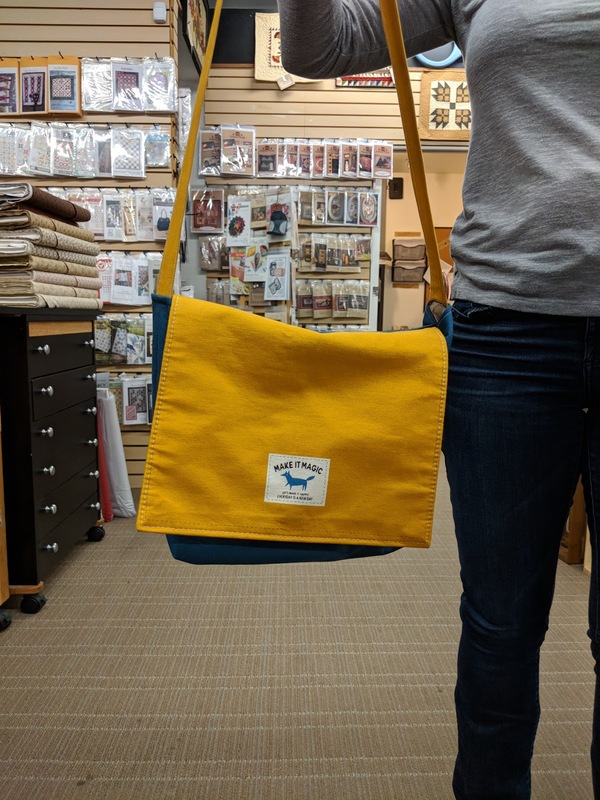 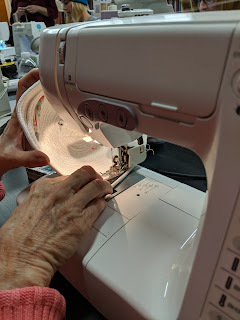 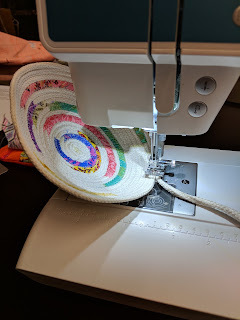 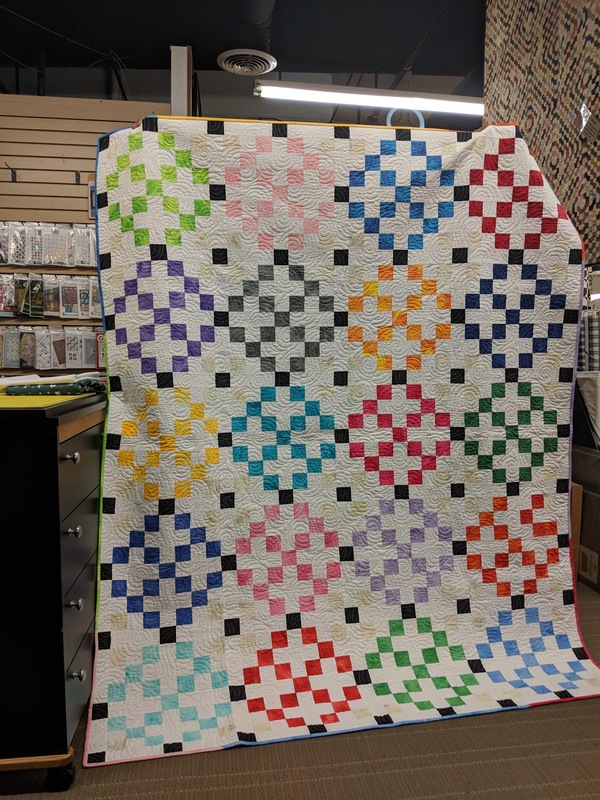 Click here for the link for the BOM pattern. Jessica made a quilt top using one of the quilt kits and brought it in to start our Show and Tell. 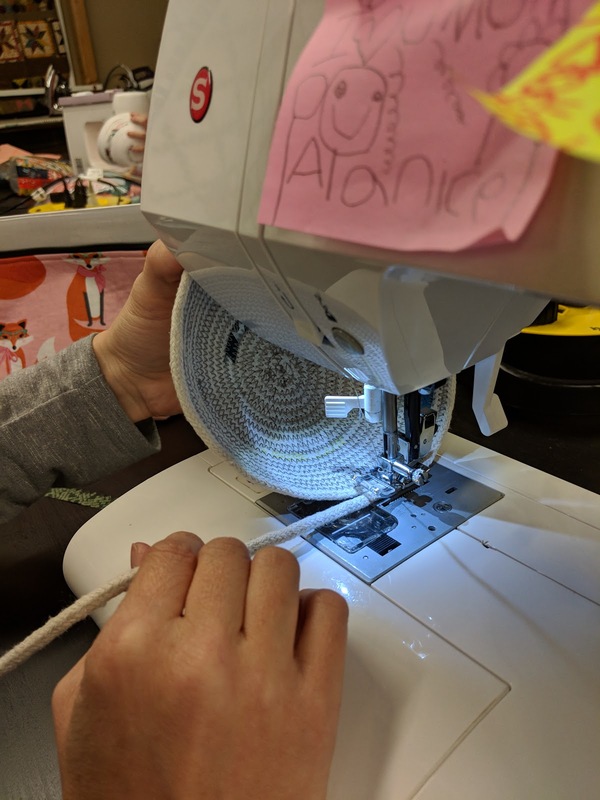 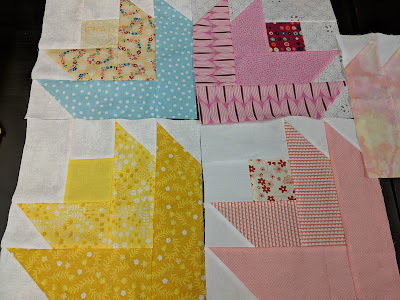 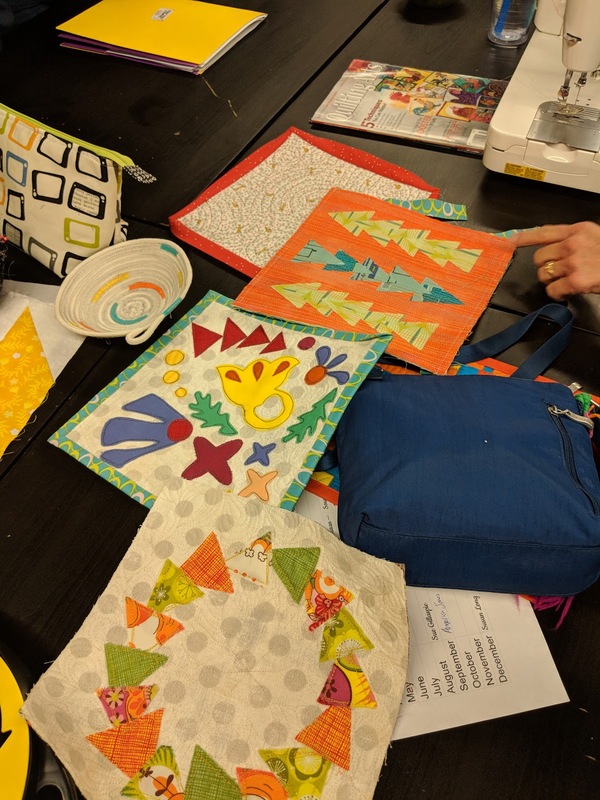 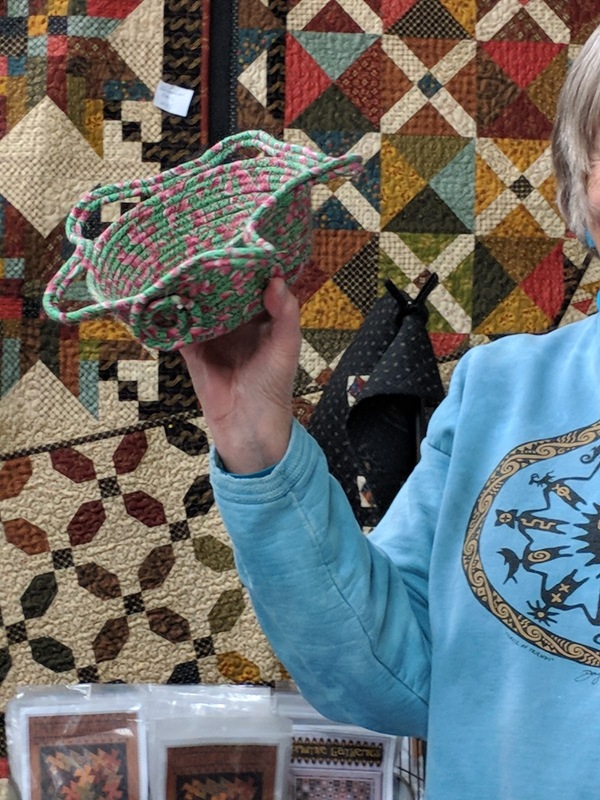 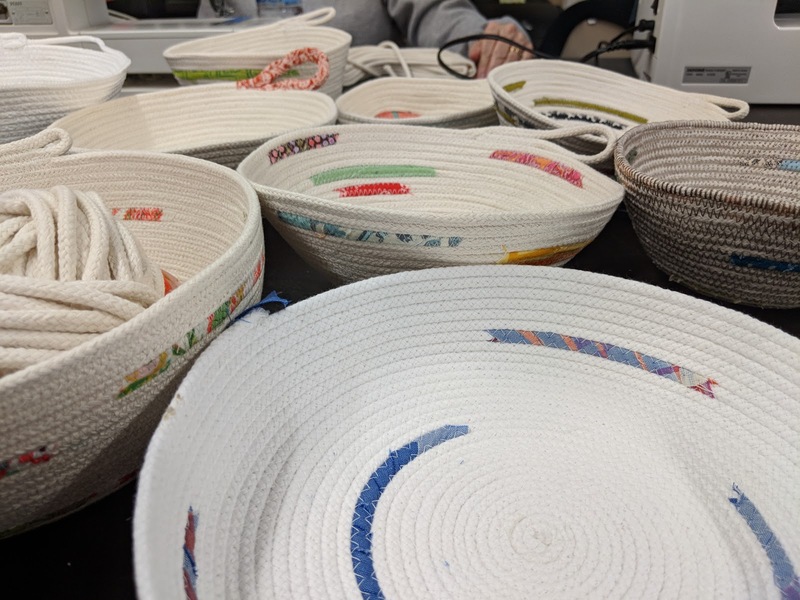 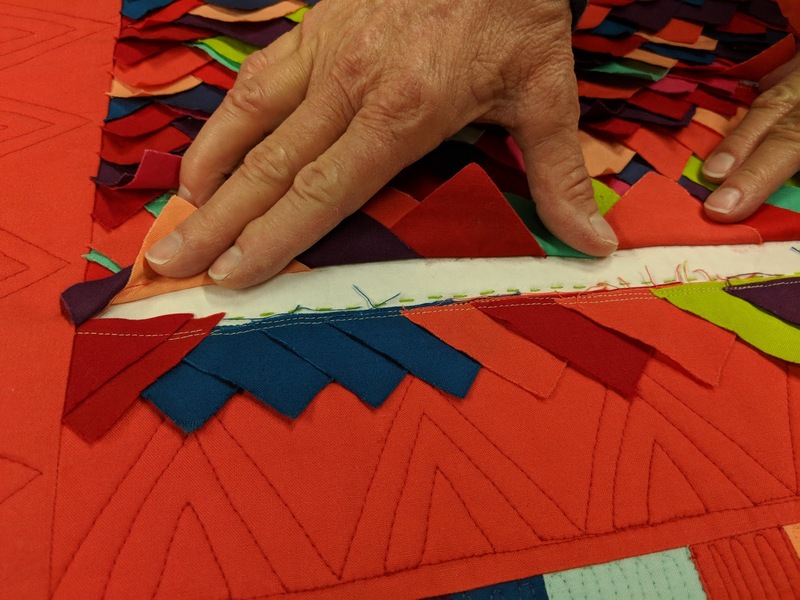 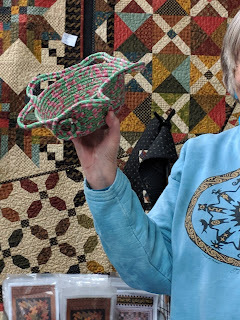 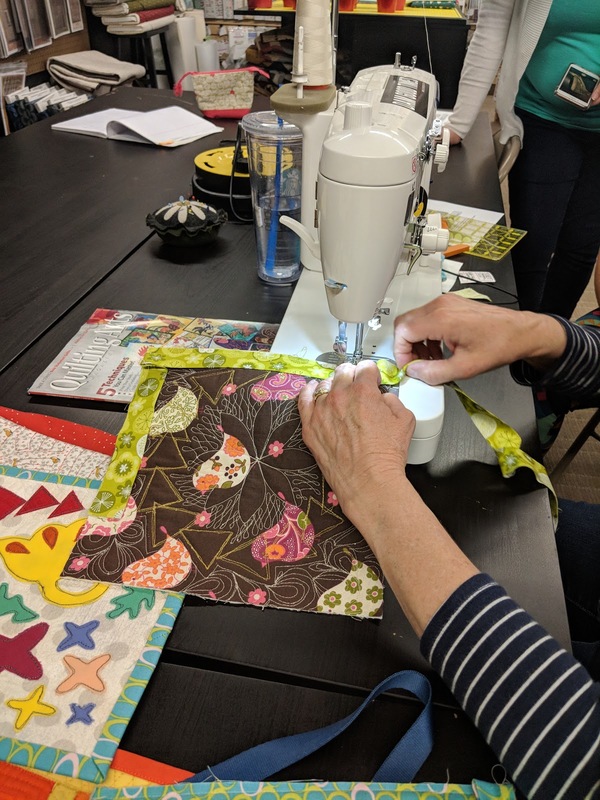 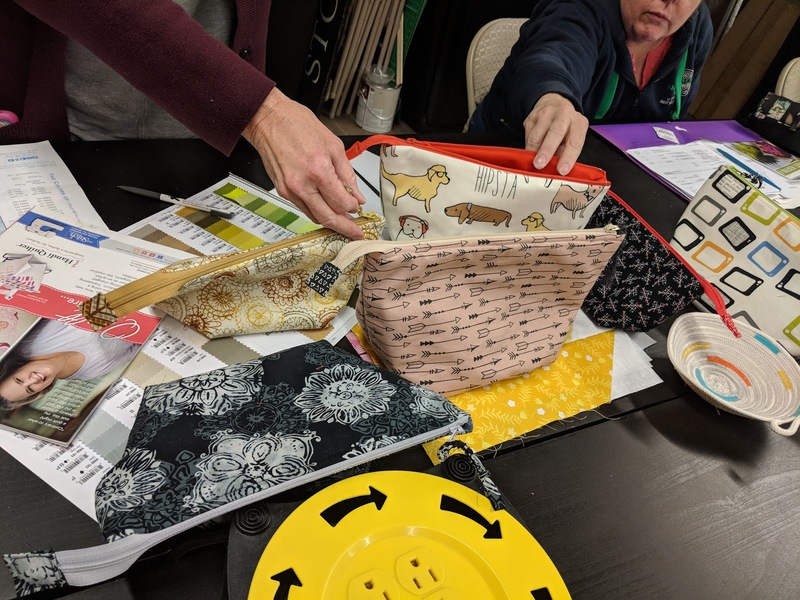 For those who took home these quilt kits, they need to be done by June. 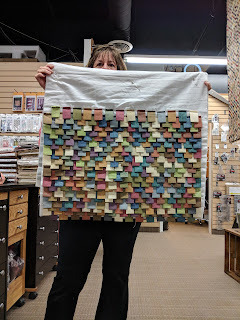 Susan took her paint chip challenge scraps and made this fun snack mat. 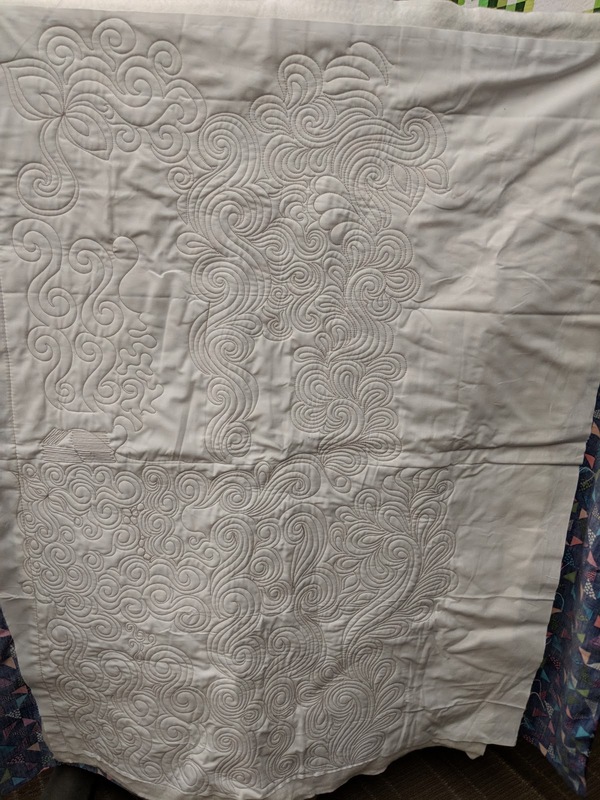 Susan also took a pile of scraps sewed them down on muslin. 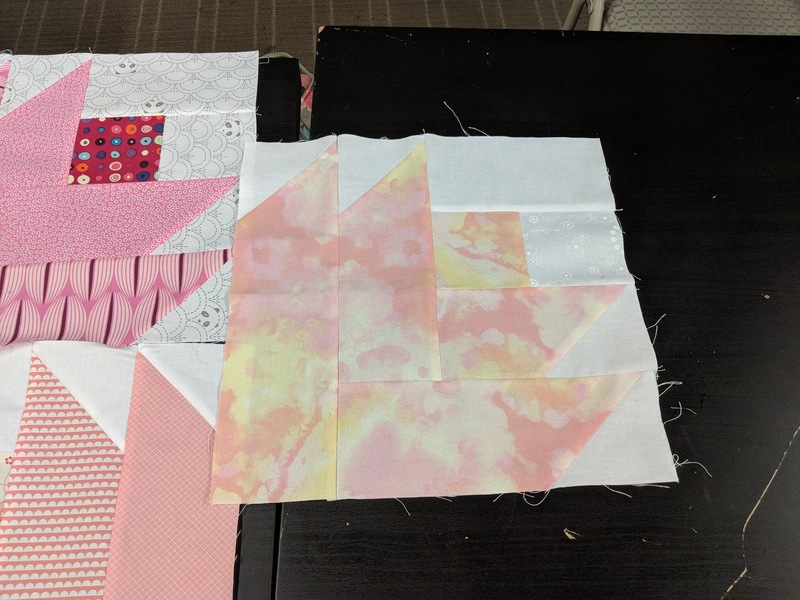 She put layer by layer working from the bottom, up. 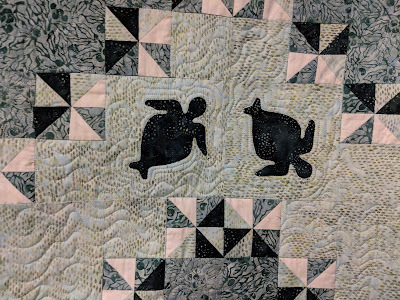 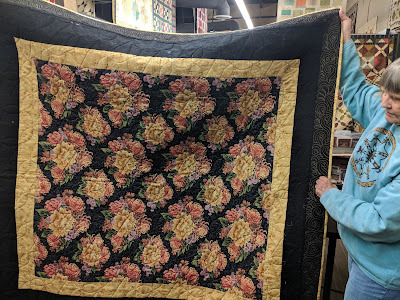 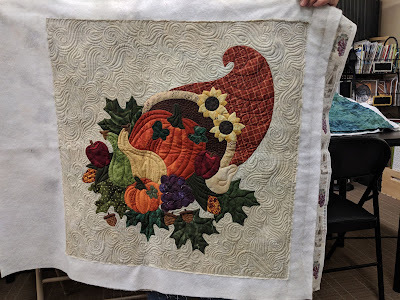 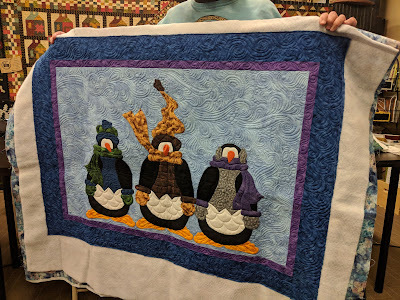 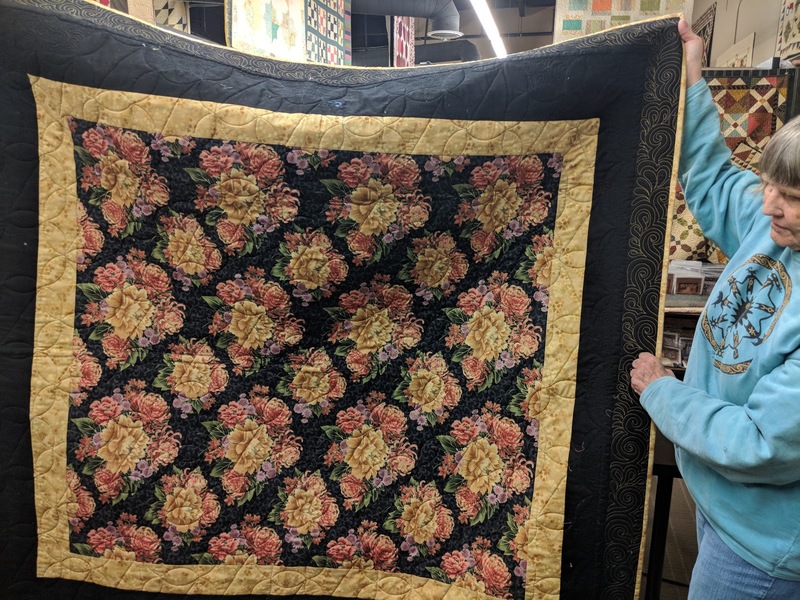 Linda's friend in Oregon pieced these 3 quilts and she quilted them. 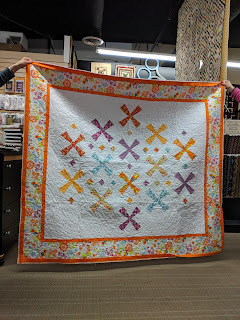 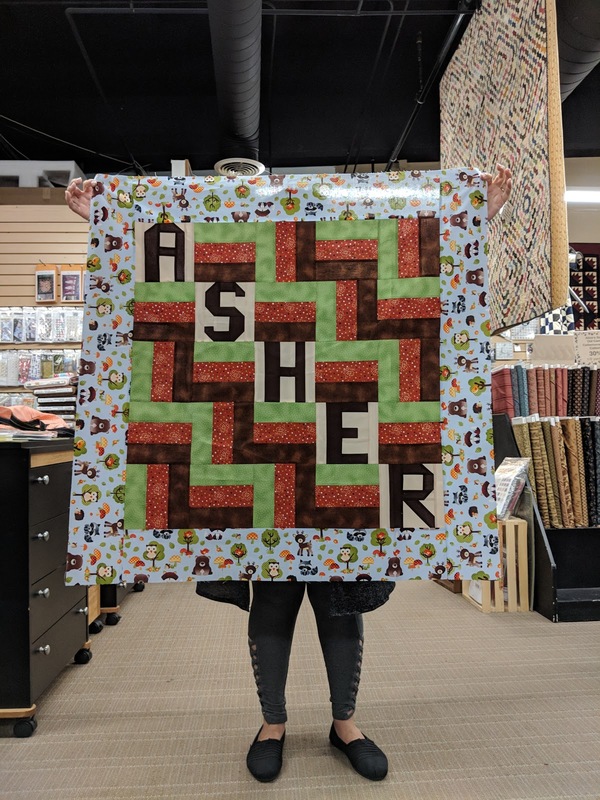 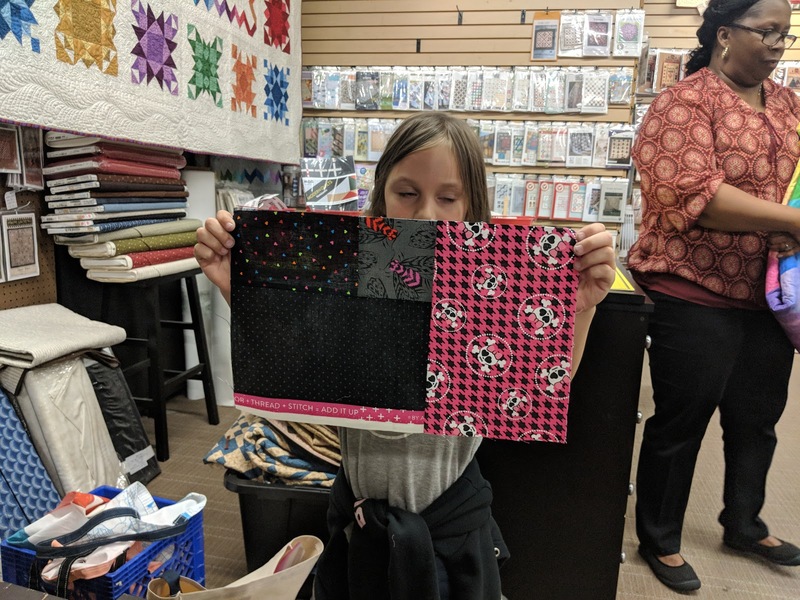 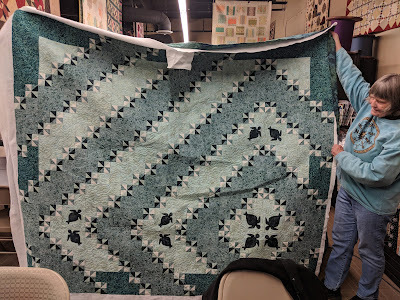 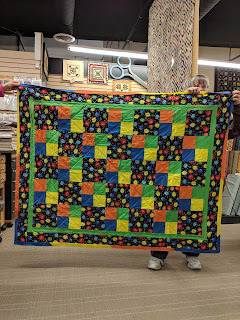 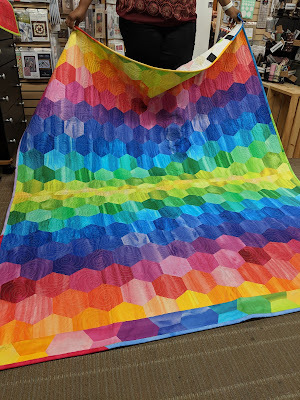 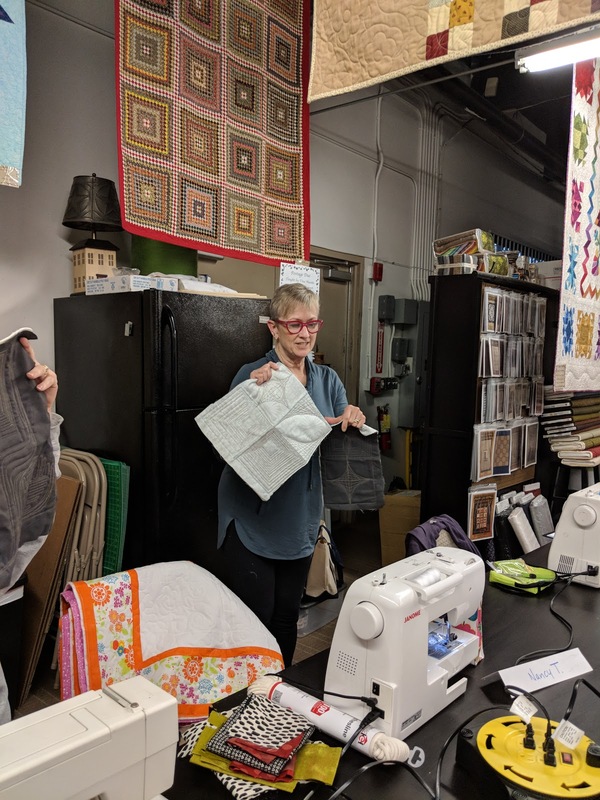 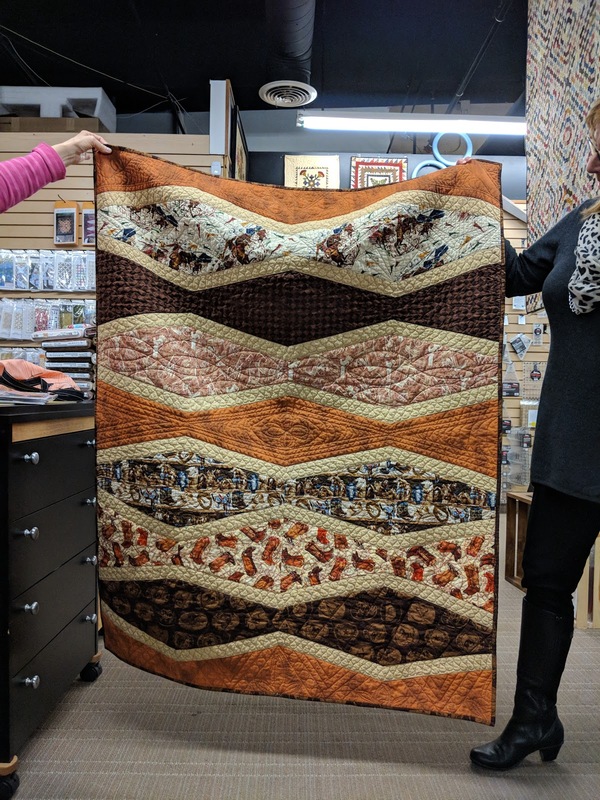 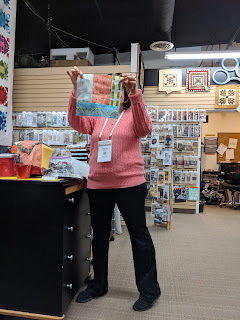 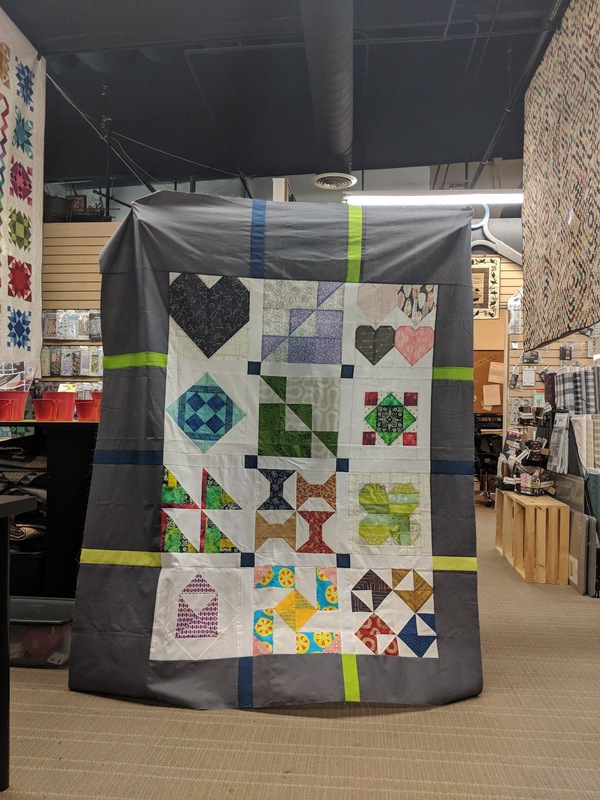 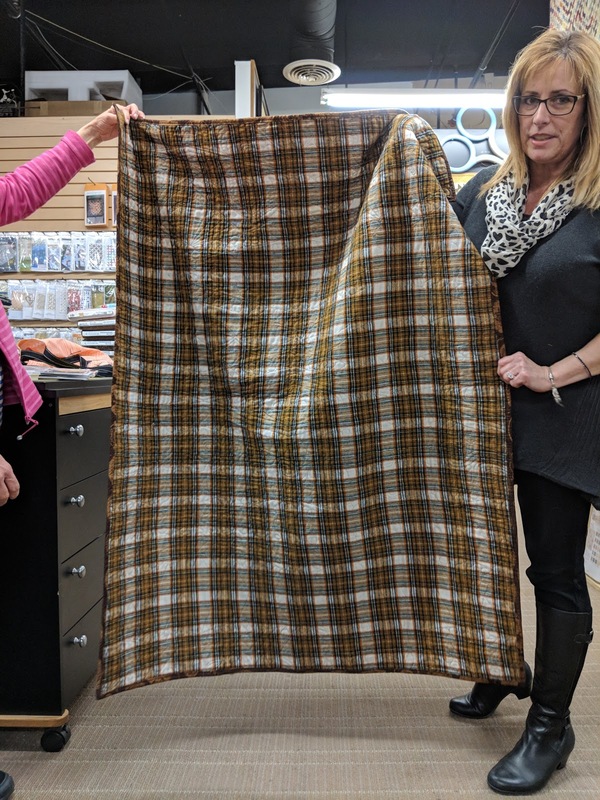 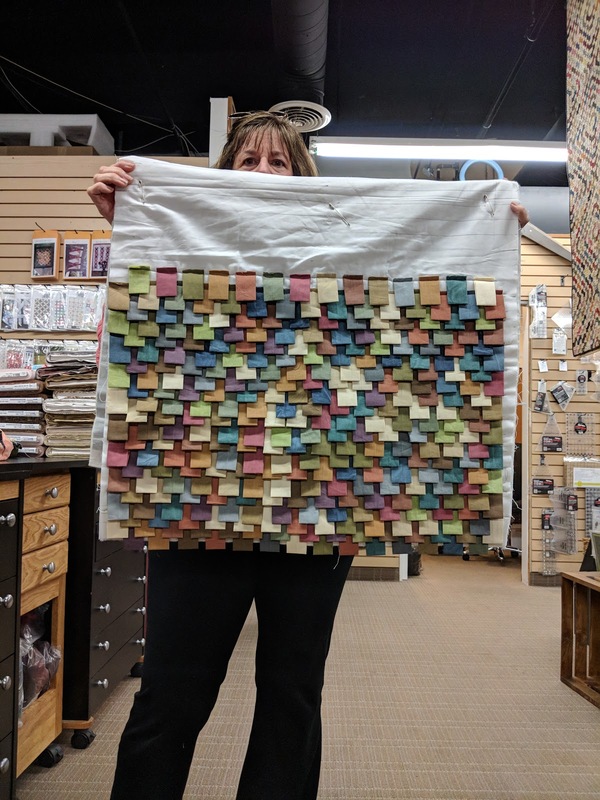 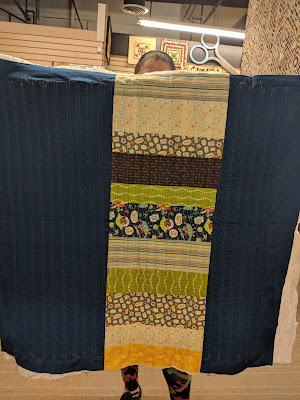 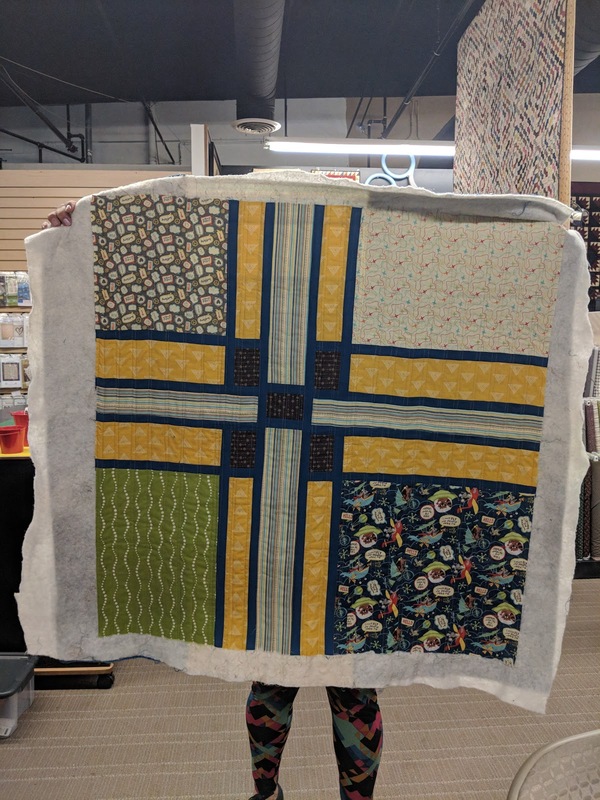 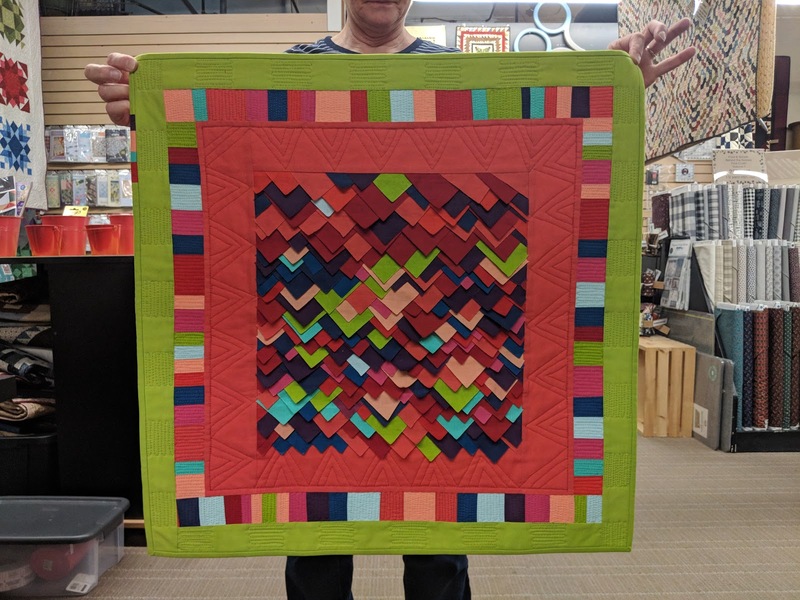 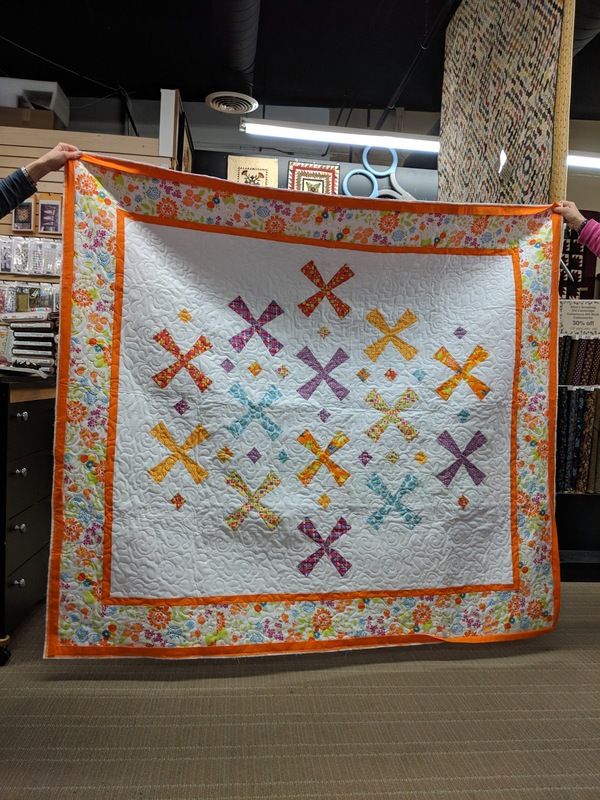 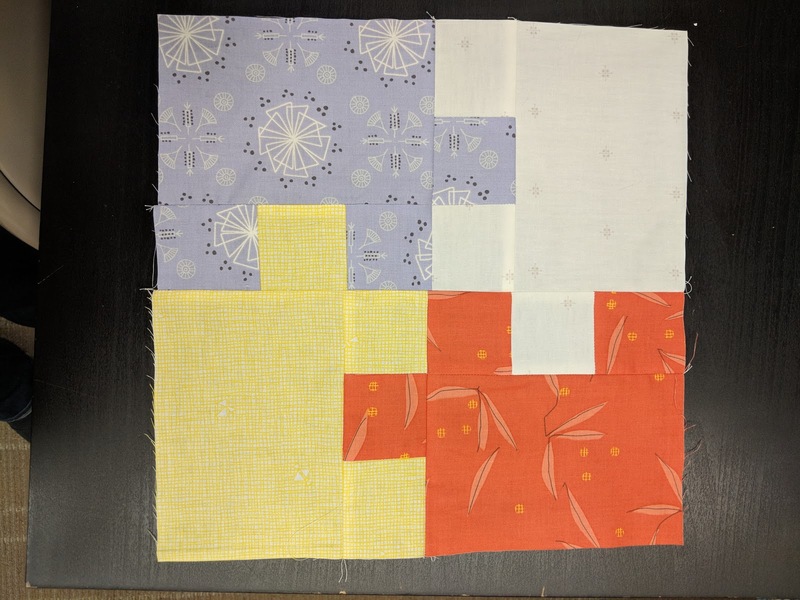 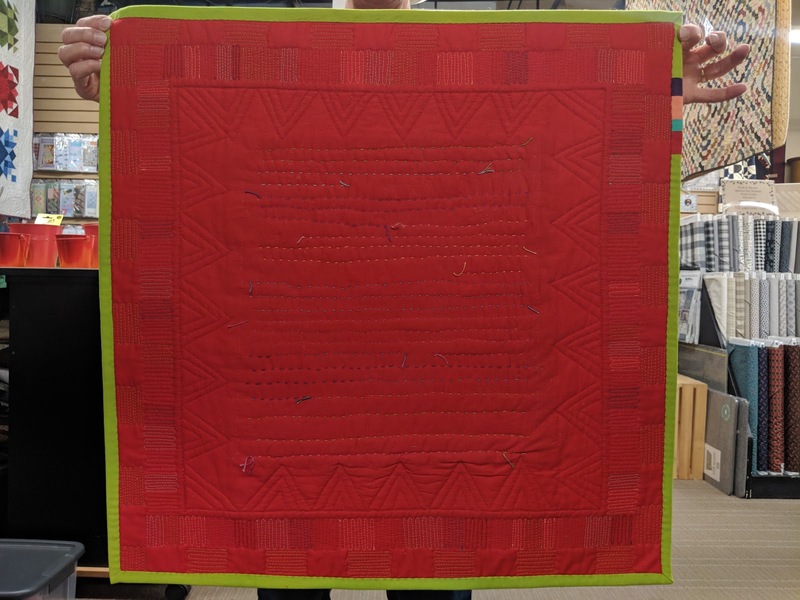 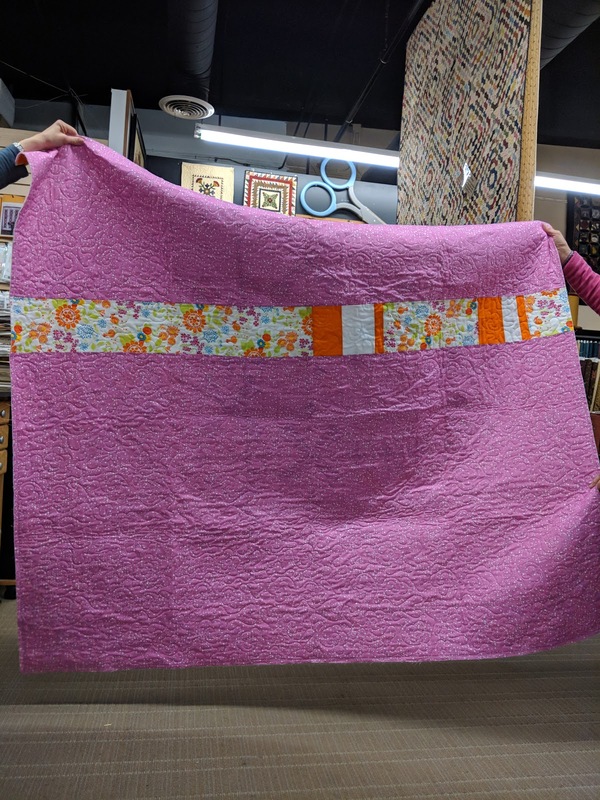 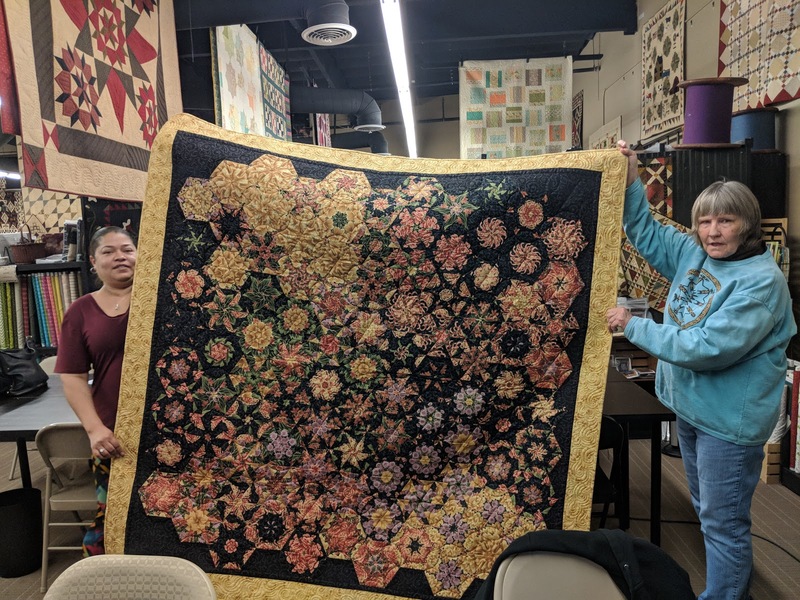 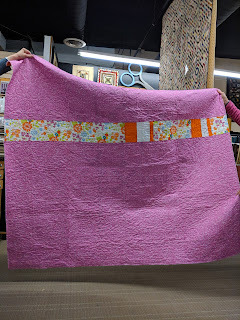 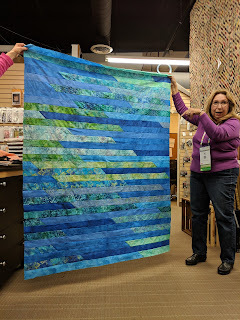 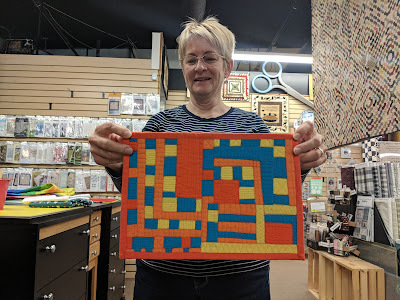 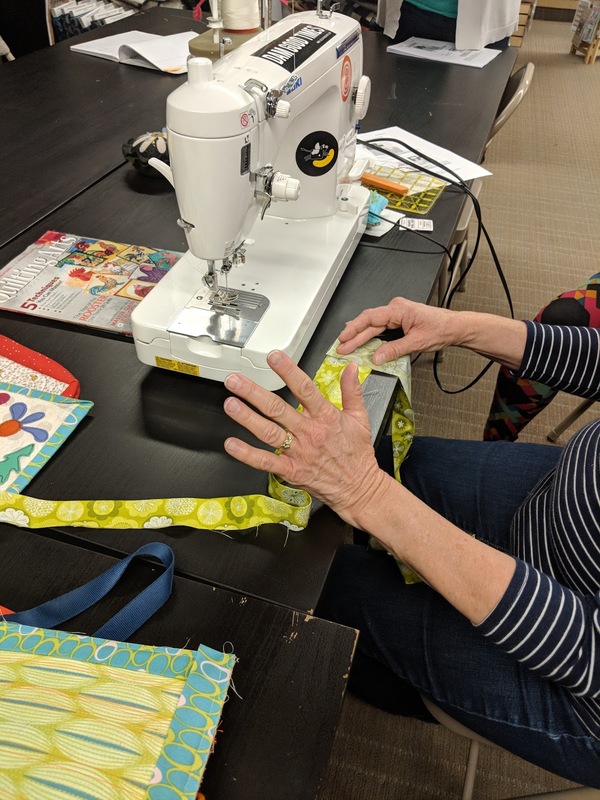 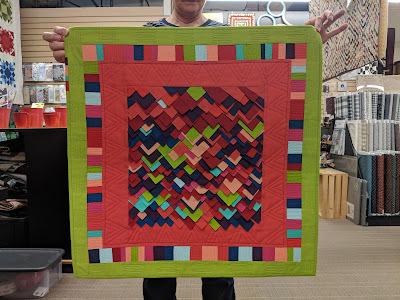 She also brought in her One Block Wonder quilt from the demo she did for us a few months ago. 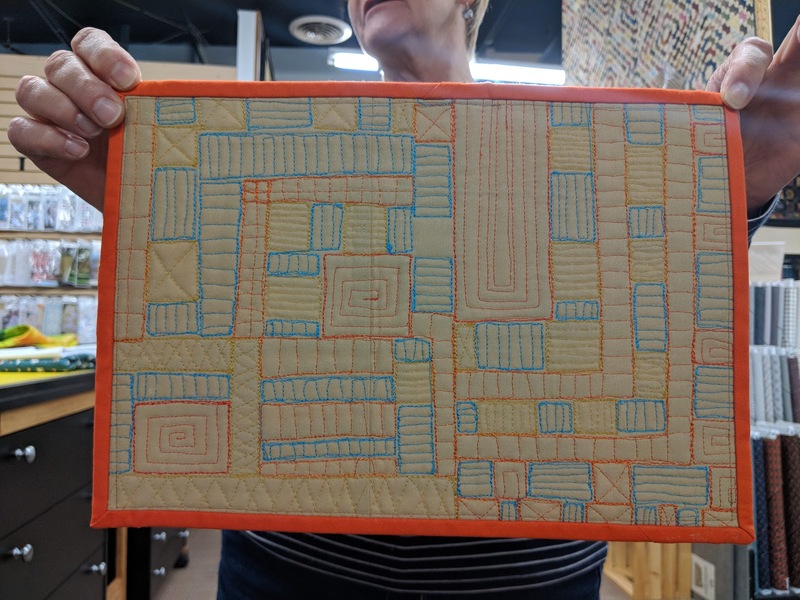 My daughter Isabel came in to show off her quilt she's been working on. 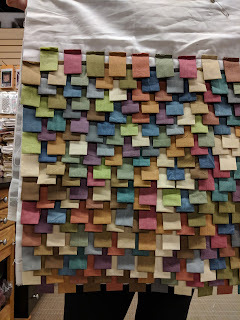 She keeps it up on her design wall at home and adds block by block when she has free time. 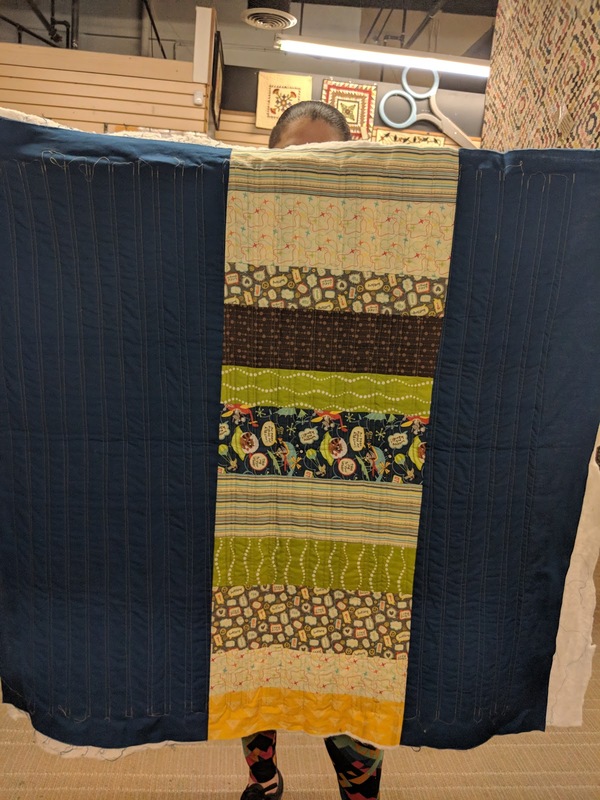 Yahaira (who was a guest) made this baby quilt for her friend from the Navy using a fat quarter bundle she purchased at Needle in a Fabric Stash. 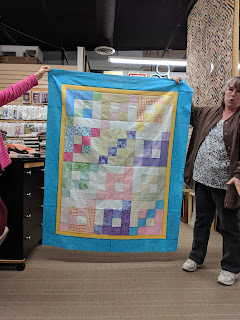 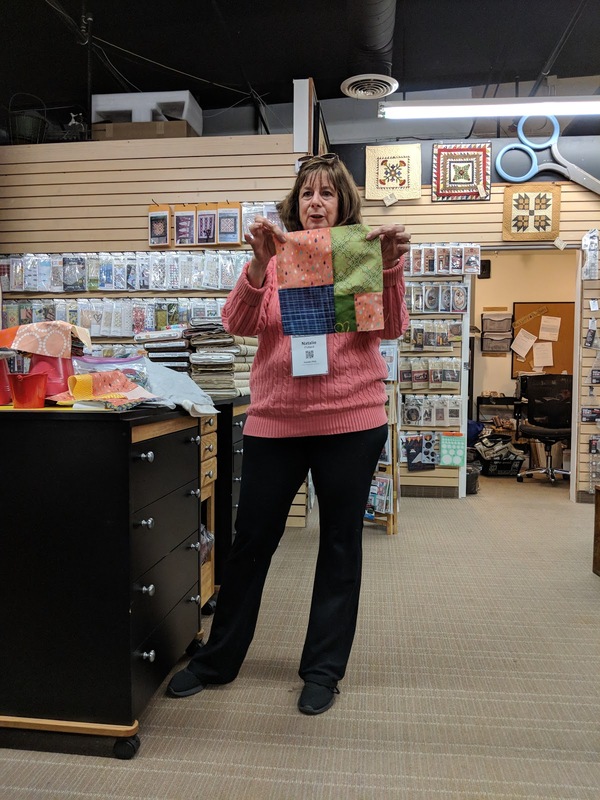 Patti wasn't here but Dru showed off the quilt she made for the shop using a Moda free download.